The July Monthly Mystery Stitch Marker and Notion Club opened exclusively to club subscribers on 20th July for pre-orders and shipped on 26th July. The theme this month Counting Cast On! This release was limited to 25 sets. This club really was a joy to put together and the watermelon theme and colours were a late addition but worked so well. 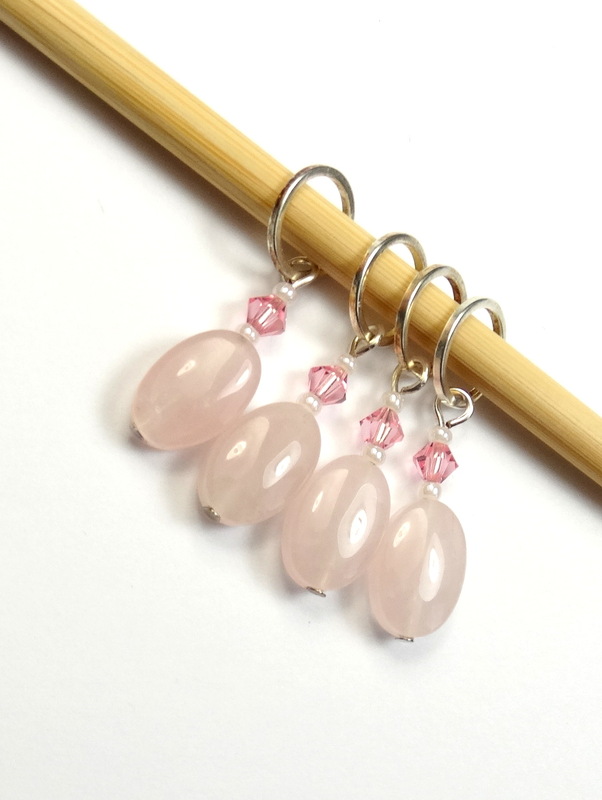 An additional beaded watermelon stitch marker was also included as an extra treat. These cast on counting markers are so useful in order to keep track of counting not only the cast on of a large project but the continued tracking of stitches on each row knitted. Using our cast on counting markers, it’s easy to track each row for missing or additional stitches, especially when they are sectioned off with the markers. In addition to this club, we also created other instructional markers designs here. Launching today! Our new monthly mystery stitch marker & notions club! Yay! It’s really easy to join in the fun, there’s no tie-in, no upfront monthly fees and it’s open to all. Each month, we’ll notify you by email when the club is available with a secret link and you can decide if you would like to purchase our exclusive limited edition club notions. 1. Sign up for our Monthly Mystery Stitch Marker & Notion Club email here to be the first to hear about each monthly launch. We recommend adding our email address to your address book to ensure the email doesn’t end up in the spam folder! You’ll get a notification email when the club opens. 2. We’ll send a notification email with a secret link each month. The mystery sets will be limited editions with only 15 sets per month available to purchase. From exclusive stitch markers to pattern tamers, themed mini crochet hooks to Portuguese pins plus lots of other accessories, we plan on bringing exclusive designs into the club. Each month will have something different, making it easy to pick and choose to suit your needs. If you decide not to purchase in a particular month, that’s absolutely fine and you’ll continue to receive the monthly club emails. There’s no obligation to purchase. If you are thinking of buying a club release, we recommend purchasing when the pre-order email comes out (via the secret link), usually three days before the club is openly available to all on the website. The club will ship on the date specified in the description for that month. Once the club is sold out, then it will close. 3. The exact products each month will remain a mystery until they arrive with you! We will describe the type, quantity and sizing of the mystery product eg 1 x 4mm stitch marker but all other details will be a secret, as we don’t want to spoil the surprise. There should be enough information to decide if you would like to buy. 4. For UK customers, there are no shipping costs to pay for the monthly mystery clubs, as we’re making it easy to pre-order and we won’t delay any other order that you may place at the same time (unless you specifically ask us to!). Non UK customers – At this time club orders ship with the shipping costs as specified here. 5. Want to join in? Go on! There’s going to be some very special notions available that you simply won’t get anywhere else. January club is available to Pre-Order now…. 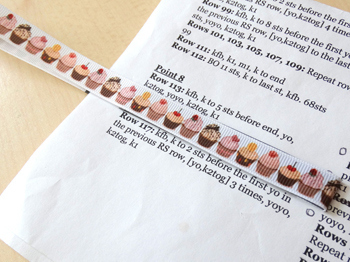 Our pattern tamers/markers can be used with paper patterns to keep track of each row or section that is knitted. Simply place the pattern in-between the pattern tamer and slide it down the pattern with each row worked. Use two pattern tamers to section off parts of the pattern that you are following. This technique should make it easier to follow the pattern and keep your place. It’s also useful to leave on your pattern ready for your next knitting session, then you can just pick up where you left off. Easy! We suggest also using a row counter to help keep count of the rows and a lifeline with complex patterns. Until Midnight Sunday 21st August, we’re having a flash sale with 19% off (to celebrate Team GB’s 19 gold medals won to date) with coupon code Rio16 entered at checkout. Shop now!